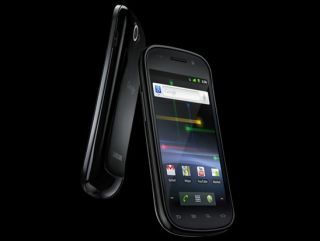 The Google Nexus S has been announced and has a UK release date of 20 December. We've pitched the key specs of the Samsung-built handset against the key smartphone rival Apple's iPhone 4 as well as Samsung's own Galaxy S (which, as you'll see, is strikingly similar in spec). It's time to see how your next phone stacks up. The Google Nexus S breaks new ground for Android, running Android 2.3 Gingerbread out of the box. Both the HTC Desire HD and the Samsung Galaxy S run Android, of course. The Galaxy S runs the Eclair 2.1 version of Android out of the box (depending on network updates), while the Desire HD runs Froyo 2.2 Android with HTC's Sense interface on top. The iPhone 4, of course, runs Apple's own iOS 4. The Desire HD features the 1GHz Qualcomm Snapdgragon 8255 processor - matched in clockspeed by the 1GHz ARM Cortex A8 chip in the Samsung Galaxy S and Google Nexus S. The Apple iPhone 4 uses Apple's own A4 chip, which is also based on a 1GHz ARM Cortex A8 core but is underclocked. The HTC Desire HD has a 4.3-inch SLCD 480 x 800 pixel screen. That's larger than the identical 4-inch Super AMOLED screen found on the Galaxy S and Nexus S – albeit with the same resolution. However, the Nexus S does introduce one trump card – the screen is curved supposedly to match the curve of your face. The iPhone 4 has Apple's new Retina Display with an impressive 940 x 640 res. While iPhone 4 is available in 16GB and 32GB capacities, the Galaxy S comes with either 16GB or 8GB and the Desire HD with 1.5GB (not great, is it?). The latter two handsets do come with Micro SD slots, though - up to 32GB can be stowed on cards slotted into those. The Google Nexus S has 16GB of storage. The Desire HD goes a step further than its rivals, with 768MB of internal memory for running programs. The Samsung Galaxy S has 568MB on the other hand, the same as the iPhone 4. Surprisingly it seems the Galaxy S is limited to 512MB. Interestingly, that's twice the RAM you'll find in the iPad. The iPhone 4, Google Nexus S and Samsung Galaxy S have 5MP cameras, but these are trumped by the HTC Desire HD's 8MP unit. All these handsets now shoot 720p HD video and feature geotagging and LED flashes. All four handsets are quad-band phones with 3G/HSDPA. You'll also get Wi-Fi (up to 802.11n) and Bluetooth 2.1 whichever you choose with A2DP. The Desire HD, Nexus S and Galaxy S all have Micro USB connections while the iPhone 4 naturally uses the standard Apple 32-pin dock connector. The Google Nexus S also adds NFC, or Near Field Communication support, meaning it could be used as an Oyster or Barclaycard OnePulse-type touch payments. All the handsets have 3.5mm audio jacks as you'd expect. The Desire HD and Galaxy S both have FM radios. The iPhone 4 does not, nor does the Nexus S. All the handsets also have GPS, proximity sensor, compass, accelerometer and ambient light sensor. The Desire HD also boasts the Dolby Mobile audio enhancement tech and DLNA compliance. All can be tethered, but Android 2.2 means the Desire HD can act as a Wi-Fi hotspot (as can the 2.3-toting Google Nexus S). The Samsung Galaxy S has a footprint of 122 x 64mm - comparable to the 123 x 68mm Desire HD. The Nexus S has a slightly narrower and thicker 124 x 63mm footprint. The Galaxy S also has a thickness of 1cm, 0.7mm thicker than the iPhone but thinner than the 11.8mm thick Desire HD. The Nexus S has a depth of 11mm in comparison. Both the HTC and Samsung handsets are bigger than the 115 x 59mm iPhone 4. The Galaxy S is the lightest - it weighs in at 119g compared to the 164g Desire HD, 137g iPhone 4 and 129g Google Nexus S.
The HTC Desire HD boasts talk time up to 320 mins and standby up to 490 hours. The iPhone has a talk time up to 420 mins and standby up to 300 hours. The Samsung Galaxy S has a talk time up to 390 mins and standby up to 576 hours. The Google Nexus S has a talk time up to 360 mins and standby up to 428 hours. All these times are for 3G and are from the spec sheets rather than real-world tests. So. which to go for? The striking thing about these handsets is how similar they all are. Even though the iPhone stands alone in terms of its OS and other features, its core hardware is strikingly similar to the Android handsets. The HTC Desire HD does stand out for its larger screen and better camera, but the pixel count isn't any higher than either of the Samsung-built models, while it also lacks the supreme OLED screen that those two models have. While all of these handsets are pitched at the top end of the market, it will be interesting to see how the Nexus S stacks up against the Galaxy S - aside from the curved screen and NFC, they are very similar under the skin.